Tigo Energy continues to innovate in the solar rapid shutdown space. Its latest products is a handheld RSS (Rapid Shutdown System) Signal Detector to accompany its RSS Transmitter released last quarter. 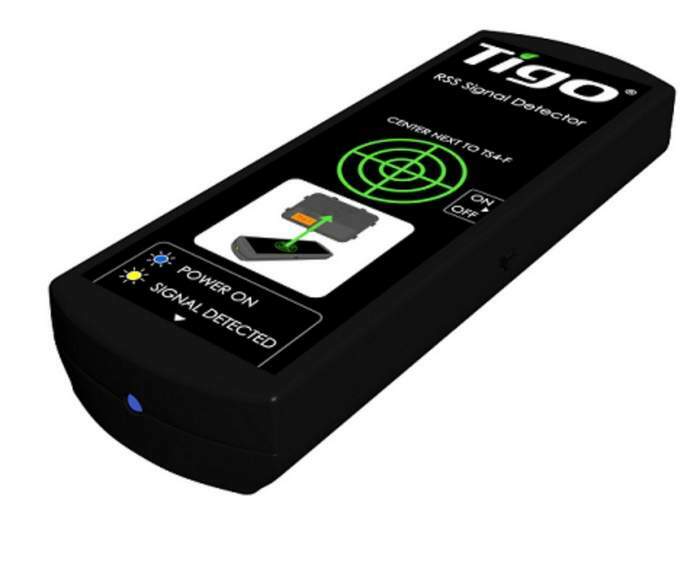 Tigo’s RSS Signal Detector is a testing device for sensing the power-line communication (PLC) signal which is generated by Tigo’s RSS Transmitter and controls Tigo’s TS4-F (Fire Safety) units. The RSS Signal Detector is used during installation and commissioning to verify that the TS4-F units are receiving the rapid shutdown keep-alive signal from the RSS Transmitter. It is a handheld, failsafe tool that PV installers use to test the system or identify the source of a problem with systems that do not function properly. The RSS Signal Detector identifies the controlling signal for systems that are compliant with U.S. National Electric Code (NEC) 2017 690.12 rapid shutdown specifications.